The refillable Float compressed air cylinder is the power and driving force behind our Float 2.0 avalanche airbag system. When the Float trigger is pulled, the Float 2.0 activates the release of 2,800-3,000 psi (207 bar) of compressed air, inflating the airbag. Always make sure your cylinder is full and connected correctly before heading out. Nearly 30 percent smaller and 15 percent lighter than our Float 1.0 engine, the Float 2.0 cylinder ensures a rapid fill when activated. Comes with Float Consumer Refill Kit (five o-rings, allen key, vacuum grease, and toothpick) for refilling. A Hazardous Material Shipping Fee will be added to your purchase at checkout. 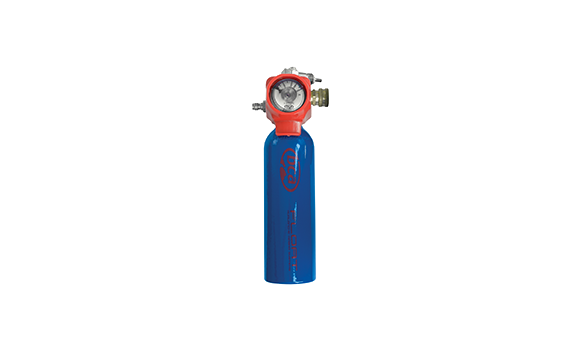 Full Float 2.0 cylinders ship separately from other order items due to their hazardous classification. Full cylinders must be signed for on delivery so please adjust your shipping address accordingly!